This will be my third time attending/speaking at the Insight User Conference – the location, the networking and the education you get on the advance uses of Momentum are worth the trip every time. Insight 2014 is just a couple of weeks away and I’m sure you’re just as excited as we are about our annual user conference and the star speaker line-up and panels that are in store! Here are a few tips to make the most of your Insight 2014 experience. 1. Arrive early. Our conference may officially begin on Nov 12, but we’ve got a full day of activity lined up on Nov 11, so make the most of your registration pass and arrive at least a day ahead! You’ll be eligible to attend up to two training sessions (depending on whether you are an MSU subscriber), and break the ice with fellow attendees over dinner and drinks at our welcome reception in the evening. 2. Plan ahead. Insight 2014 features two tracks, Email Best Practices and Bootcamp that run concurrently, so plan your schedule accordingly on Nov 12 and 13 so as not to miss any of the sessions or speakers that you’ve been looking forward to seeing. 3. #msusercon2014. Our official hashtag will be a fount of information so follow our Twitter stream as well as continually monitor the hashtag for updates! We’d like to invite you to engage in the conversation online and live tweet your personal insights through the #msusercon2014 hashtag as well. 4. Ask questions. Perhaps the key draw of every conference is to seek knowledge and clarify uncertainties – Insight 2014 is no different. Feel free to participate in discussions and raise questions after each session. After all, it’s not often you get the chance to ask ISPs about their criteria for filtering email – don’t waste that golden opportunity! 5. Schedule appointments. You may be familiar with the Tech Lounge from yesteryear. Have a question about Message Systems and our products? Schedule an appointment with our subject matter experts who can help you with your queries. We’ve set aside a quiet space for you to talk to our staff or any of the speakers – continue your discussions after the sessions. 6. Visit our sponsors. Stop by the exhibition hall for our sponsors and learn more about how you can augment your marketing with their products and services. Don’t miss this opportunity to say “Hi” to some cool companies! 7. Network. 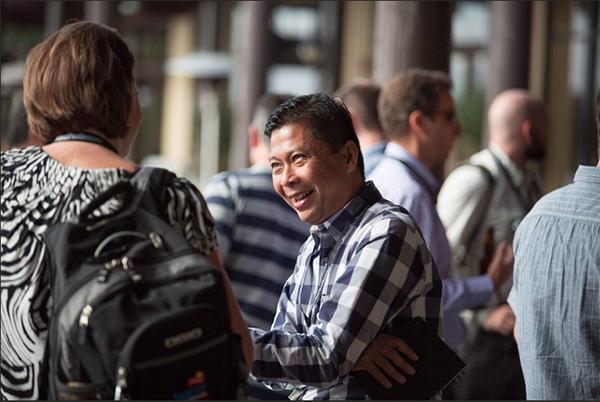 Insight 2014 will see some of the most well-known email experts in attendance. Network with your peers or catch some of the speakers after their speaking sessions for a chat. You may be surprised to learn a thing or two about email deliverability that was hitherto unknown to you. 8. Have fun. Aside from the lush tropical greenery that surrounds Paradise Point, there’s plenty to do in the resort, as well as in the surrounding areas. Stay on over the weekend and take advantage of the proximity of SeaWorld, Zoo, Safari Park and Legoland! Learn more about some of the customers who have achieved great success with Momentum from Message Systems in the Customer Success eBook!